The all-new Real-Time Physics Engine brings real-world highlight reel moments in-game like never before. From face-offs to body checks, real-world puck and player physics trigger true-to-life reactions. More than 200 Gameplay Enhancements—An all-new faceoff system, quick dekes, the new Hit Stick, and hip checks are just some of the many gameplay improvements that make NHL11 the most authentic hockey video game experience to date. Broken sticks - After snapping your stick on a wicked slapshot or having it broken in two from a hit, the play is never dead. 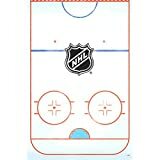 Kick the puck to your teammate or have your teammate pass you his stick if you can’t make it to the bench to get a new one. Be a Pro Enhanced—For the first time ever, begin your career playing for the Canadian Hockey League’s Memorial Cup. Get scouted, enter the NHL entry draft, and see if you can become the greatest player of all time. The EA SPORTS Hockey League takes online play to the next level as championship seasons are awarded with banner-raising ceremonies and new user celebrations that allow you to rub it in the faces of your biggest rivals. 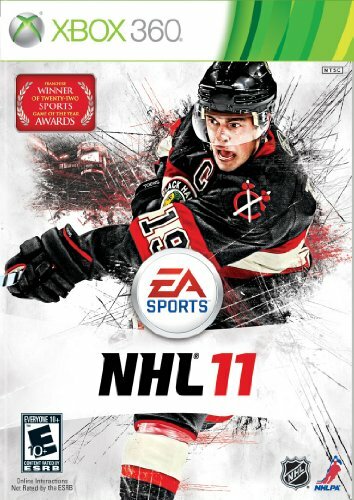 Celebrating its 20th year, the franchise that captured 22 'Sports Game of the Year' awards has raised the bar yet again with NHL 11. Powered by an all-new Real-Time Physics Engine, NHL 11 lets you create highlight reel moments as you experience adrenaline-pumping NHL action with bigger hits, broken sticks, and faster dangles. Whether you're beginning your career in the Canadian Hockey League, dominating rivals in the EA SPORTS Hockey League, or assembling Hockey's Ultimate Team, any moment can be a 'WOW' moment with NHL 11. All-New Hockey Ultimate Team—Build a team from the ground up by acquiring top Canadian Hockey League and American Hockey League prospects and training them to superstardom, or win now by acquiring current NHL superstars. Put your squad in retro jerseys and manage your team's chemistry to find out which players gel best throughout the regular season and monthly playoffs online.